I followed up Fritz Lang’s early sound stinker Liliom with this real good western. More of a musical than Liliom, every few scenes we get a troubadour singing the Chuck-a-luck song. This came after Secret Beyond The Door and House By The River, and right before The Big Heat and The Blue Gardenia, square in the middle of that great ten-year period for Lang. Just like in Big Heat, our hero’s wife gets killed at the beginning, but this time it’s not part of any conspiracy, just mean ol’ thievery and rapery and murderry. 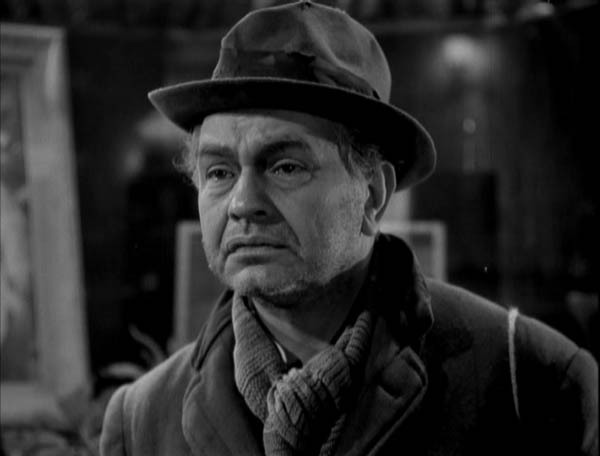 Our hero is Vern (Arthur Kennedy from Let Sleeping Corpses Lie, Sam Fuller’s Shark, Bright Victory and Lawrence of Arabia) and when the townsfolk and lawmen won’t help him hunt the baddies past the county line, he goes undercover-vigilante and dedicates his life to revenge. He follows clues across the country to Chuck a Luck, Marlene Dietrich’s secret baddie hideaway ranch, and fakes being bad long enough to figure out who’s the sumbitch what killed his wife. He thinks it’s this slick-shooting shifty guy for the longest time, but in the end it turns out to have been some cowardly sideman, who gets what for. But Marlene dies trying to save our guy. So heroic and good natured is our guy that even selfish Marlene would die for him! Cool as hell movie, with Marlene in her early 50’s still looking good and a buncha actors I don’t recognize doing a fine job too. Somehow I missed both Jack Elam and George Reeves (who was already Superman when this came out). Best part is the first few scenes of Vern seeking out the ranch, hearing legends about Marlene via not-necessarily-true flashbacks. That Herr Lang could make a tight little revenge thriller when he wanted to. 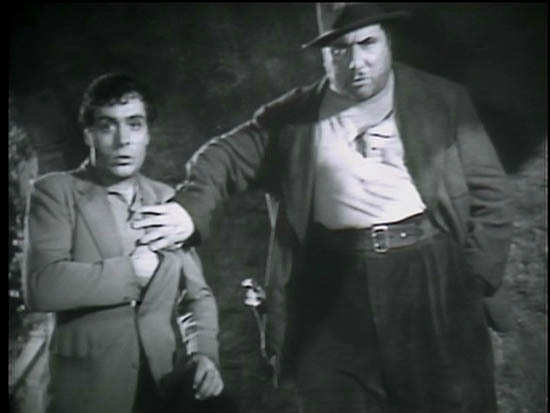 TRIVIA: Lang wanted to call this movie “Chuck a Luck” but the studio forced the title “Rancho Notorious”. Both titles, of course, are stinky. Not a musical. Why did I think it was a musical? My third-to-last available Lang film. Now that I forgot to tape Human Desire off cable, I’ll just write that one off. Two years ago I set out to see ALL of the Lang films… most were very good, almost all were enjoyable, some are now among my favorite films ever, but there were bound to be a couple stinkers. I didn’t even know Liliom was a stinker (now I know) but it didn’t look too great from the cover art and plot description. 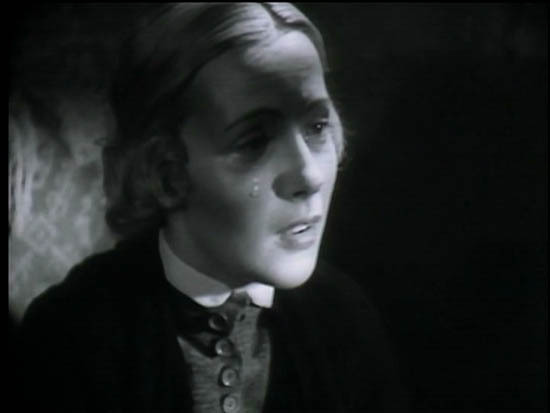 But Lang was on a winning streak in Germany… M (1931) being one of the best films ever, then Testament of Dr. Mabuse (1933) completely excellent… then the whole Hitler thing forces Lang to leave Germany, so he makes Liliom in France then ends up in the U.S. making Fury in ’36, one of his best American movies. So everything surrounding Liliom was great, but I’ve hardly heard anything about Liliom. Can’t rent it, so I bought it to find out for myself. Unfortunately what we’ve got here is a very bad movie. Liliom is a charming carnival barker who digs a young woman named Julie. The moment he steps off the carousel he reveals himself to be kinda a jerk, but later we learn the truth: that he’s a TOTAL jerk! As the movie goes on he becomes more of a jerk. Then the movie takes a weird twist: Liliom dies in a heist and goes to heaven to be judged. They deem him a jerk and send him to purgatory for some years. He gets to come back to earth for a day, and he checks out his daughter who’s now 16 or 18 and he slaps her then gets sent back to purgatory. The judgement doesn’t look good for Liliom! But then something even stupider happens. The daughter goes up to her mom and says “hey mom, you ever been slapped by someone but you didn’t even feel it?” The mom says “yes I have” and cries and her tears fall on her hand or the daughter’s hand and the judge SMILES ON LILIOM AND LETS HIM INTO HEAVEN, which is just an offensive ending to a dreary and pointless movie. Tyrone Power (very normal looking white guy who wouldn’t live another decade, also starred in Nightmare Alley) stars as the only American who can save the Philippines from the Japanese. Along with his loyal troops (buncha white guys) and a cute French girl whose father was killed by the dirty Japs (Micheline Presle, still alive, later in Sacha Guitry’s Napoleon, Rivette’s The Nun, Demy’s Donkey Skin and Fuller’s Thieves After Dark), Tyrone stays hidden long enough to set up communication lines, kill off some Jap soldiers and local traitors, and help out the good guys until General MacArthur arrives. 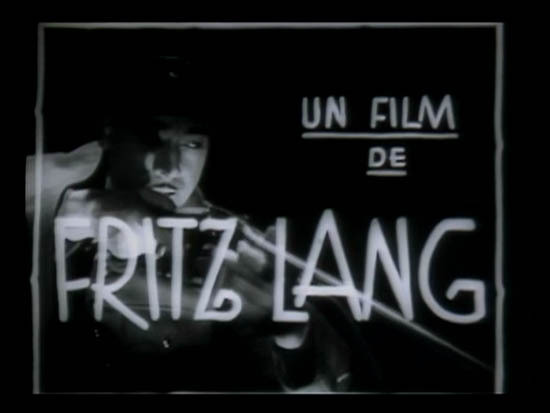 Fritz Lang directs, with no particular style or interest. Crazy-eyed actor Jack Elam was supposed to be in there, but I didn’t see him. Movie had a story to tell and a side to take, and it set right to work telling that story and taking that side. Nothing more to tell. Glad I was able to tape it off cable and didn’t have to spend $20 hunting it down. Count with me: thirty-three Fritz Lang movies down, four Fritz Lang movies to go. Coming home late from a party at work where he’s been awarded for 25 years of loyal service as a cashier, Edward G. Robinson (Chris Cross) knocks down a man (pimp Dan Duryea) beating up a woman (prostitute Joan Bennett). The shot below sums up so much about Cross… stunned, afraid, a little reckless but arms crossed defensively. He walks the girl home, and she pretends to like him suspecting he’s a rich artist, an idea he encourages. And the stage is set for all of their demises. A murder, an execution, a long-lost husband, lots of lying and cheating, and Chris’s total ruin will follow. 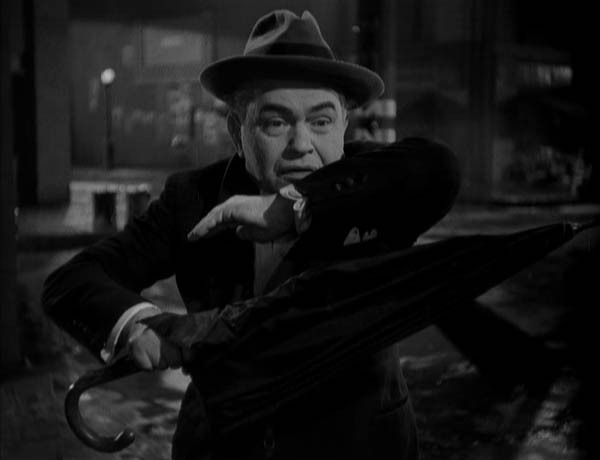 Gotta be one of the best film-noirs I’ve ever seen, and one of the best Fritz Lang movies. Unexpectedly greater than The Big Heat. Gets sad at the end… poor Chris doesn’t deserve his fate. 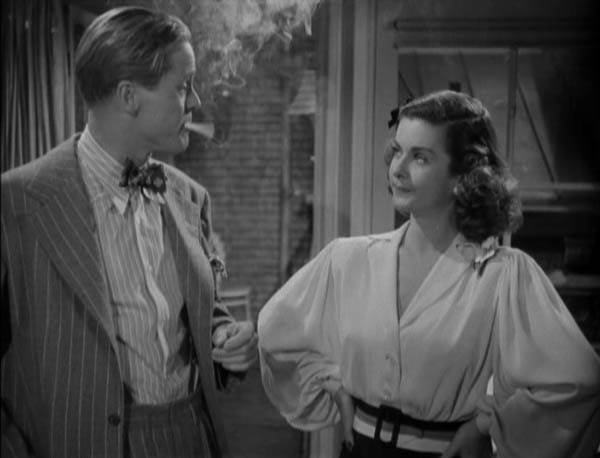 Thought of as a sorta companion film to his 1944’s Woman in the Window, a noir with the same three actors which I remember liking a lot. Wasn’t paying attention while the commentary played, but it mentioned Matthew Bernstein. Cop Glenn Ford is causing trouble by trying to prove that police-corruption-protected mobster Lagana killed a witness (actually ordered her killed, via lackey Lee Marvin’s lackey). He causes enough trouble that Lagana orders him silenced, but ends up killing Ford’s perfect wife Jocelyn Brando (Marlon’s sister) with a carbomb instead. Whoopsie! Angry Glenn Ford takes it personal and tears down the whole criminal establishment, with the help of Marvin’s girlfriend (who turns on him when he tosses boiling water in her face). Movie opens with a cop committing suicide beside a letter he wrote to the newspaper exposing the crime-cop corruption coverup. His wife, instead of delivering to the papers, puts the note in a safe deposit box and extorts the gangsters. Lee Marvin’s girl Gloria Grahame (human desire, crossfire, in a lonely place) ends up killing the widow to expose the plot, a cool twist. Nice, noirish crime thriller. 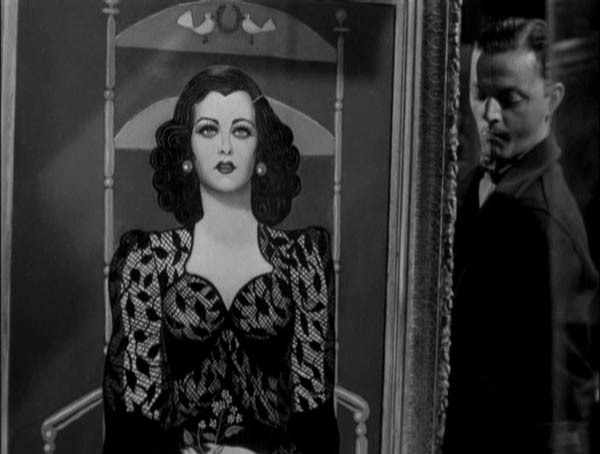 Not the breakout amazing Fritz Lang’s Greatest Achievement that I’d not dared to expect. In fact, after all the movies I’ve seen by Fritz Lang (thirty, more than any other director), I can’t necessarily tell a Fritz Lang film from anyone else’s. That’s where film school would have helped, I guess.